This is a test upload. Not sure what you are testing, but I think it worked. How about playing us a tune. Just cleaning it before putting on ebay. I never did sell it though. 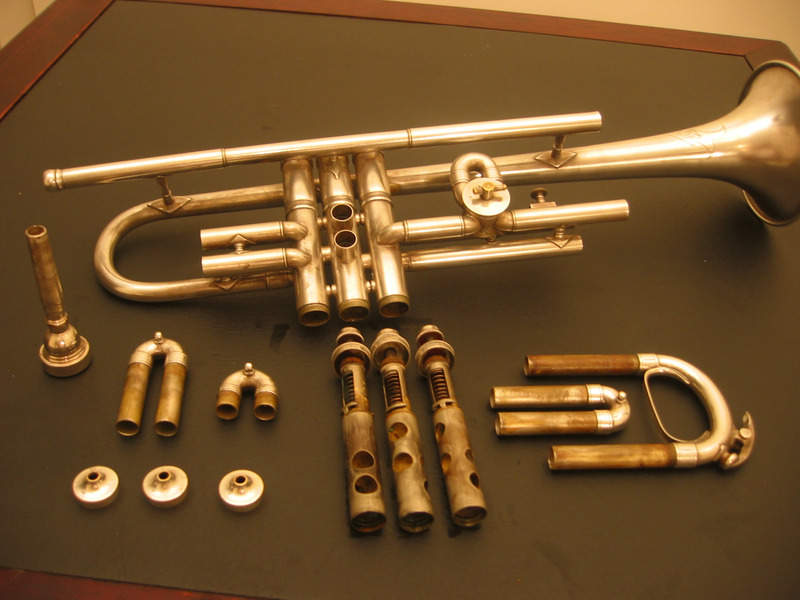 Do you need a Bb/A trumpet by any chance? Oh my goodness Geri, I sure hope you can put it back together. That's super detail and showing us all the many parts of your trumpet. Our kids teach at the Conservatory of Music at the University, teaching classical & electric guitar, piano and flute.